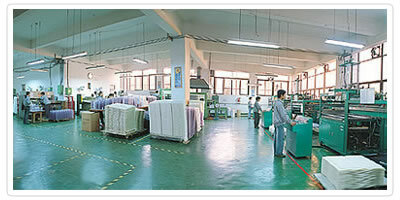 LONGWELL (Xiamen, China) Vacuum Forming Packaging Co.Ltd., originated from its parent companies (WELLSTAR Co.& Long Ying Plastic Co.) in Taiwan who has over 30 years history and experience in the plastic and thermoform packaging industries, was established in Xiamen city, Fujian province, China in 1998. Under the guidance of its parent companies in Taiwan, Longwell had gained the skills and technologies to serve its customers needs and has been a supplier of high quality customized plastic and thermoform packaging products. Longwell was approved as an ISO 9001:2000 certified company in 2004 and is equipped with advanced machinery and technical experts from the field of thermoform packaging. Our in house tools making section, specializing in die-cut tooling, steel and aluminium molds and product samples are able to design and manufacture its own mold to optimize existing design and propose new ones to cut cost and promote production efficiency. Longwell principle concern and the key to its success has been totally a customer commitment. In the fast changing world of the high technology, we recognize the significance of close customer relationship, our well trained and dedicated staffs works as a team, effectively and efficiently servicing our customers. In addition, dependable service, competitive prices, prompt delivery and development of new products are all details we perceive as staples in customer care. Our staffs continuously hard work and dedication put in confidence to the company's ability to provide our customers with a product and service second to none, from initial quotation, design concept, model, sample and final products across the world. Should you have any further enquiries about our services, please feel free and do not hesitate to contact us anytime - YOU are always welcome !